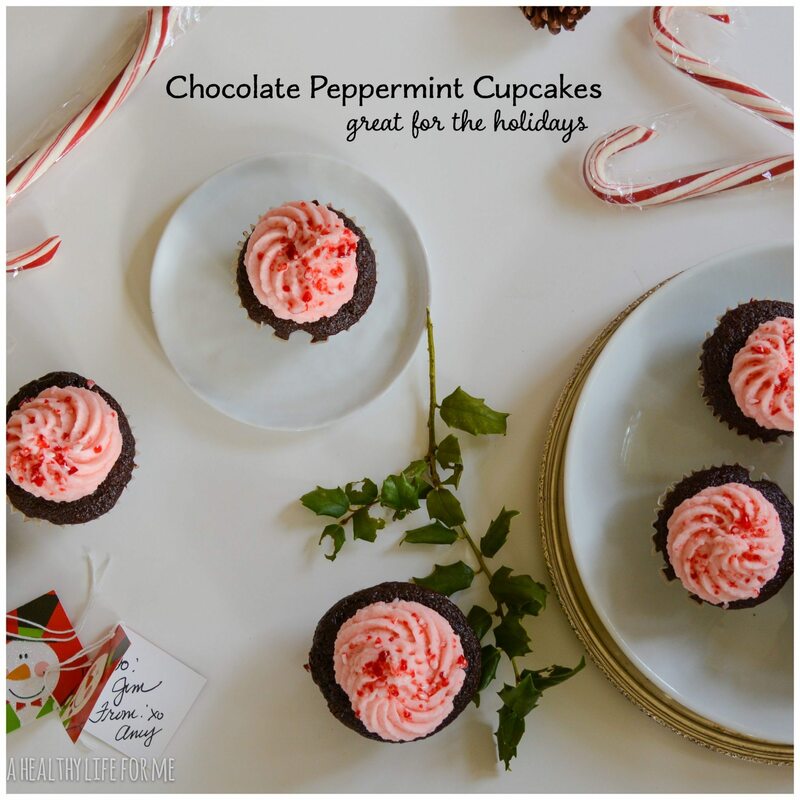 Chocolate Peppermint Cupcakes make the perfect holiday treat. Loads of decadent chocolate cake topped with perfectly creamy peppermint frosting. OMG Christmas is in 9 days. Are you ready? I am NOT! My oldest comes home from college tomorrow, and my youngest the next day. We leave for a lovely trip to Mexico on the 24th with family. That means all presents must be wrapped, clothes must be cleaned, folded and ready to pack in the next week. It’s a bit confusing pulling out shorts and flip flops while the temperature is in the teens and several inches of snow is on the ground, don’t get me wrong, I am not complaining, just saying. To work ahead I have been baking up my holiday treats early, since we will celebrate the holiday,exchanging presents giving thanks, this coming weekend. I have so many fond memories of the holidays when I was young and many revolve around the homemade baked goods my Mom would make, so I think it’s important to do the same for my family. One thing I love is the combination of Peppermint and Chocolate. 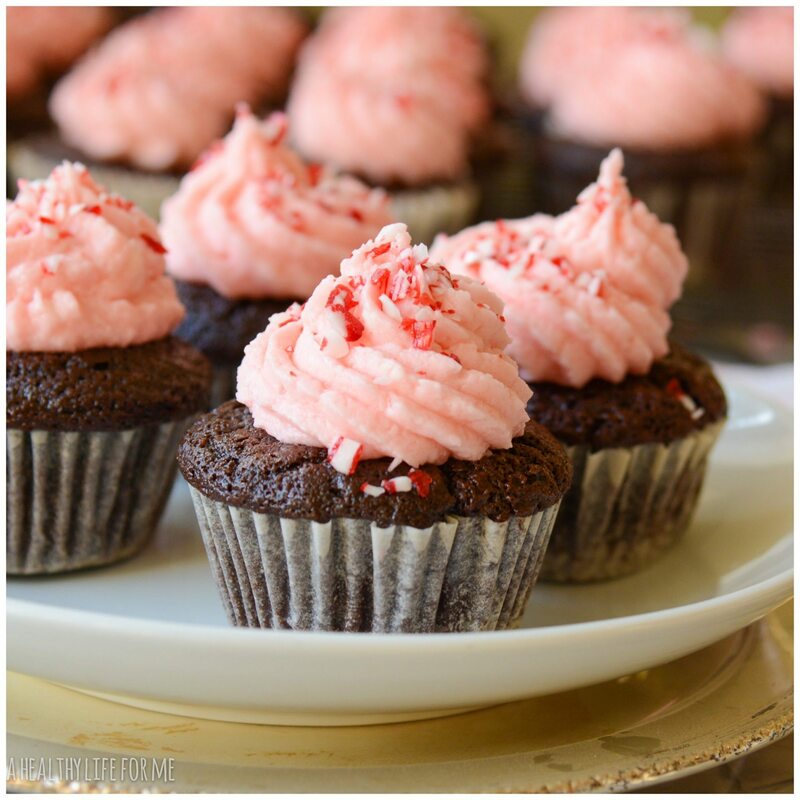 These Chocolate Peppermint Cupcakes are a perfect marriage of flavors and represent the holidays to me. These completely over the top cupcakes are a perfect holiday baked good, perfect to have one and then give out the rest to friends, neighbors, and family. The cupcakes are moist and delicious thanks to the addition of Maxwell House coffee. Combine flour, sugar, cocoa powder, baking soda, baking powder, salt and sift into the bowl of your electric mixer. Meanwhile shake cold buttermilk and add milk, vegetable oil, vanilla extract, and eggs to a bowl set aside. Brew 1 cup hot coffee. With mixer on low blend dry ingredients together and slowly add buttermilk milk, followed by coffee. Mix will be soupy. Using a 1/4 cup measuring spoon fill muffin tin 3/4 way full. Add butter, cream, vanilla extract, peppermint extract and salt to mixing bowl and beat until creamy. Add 3 drops of food coloring. 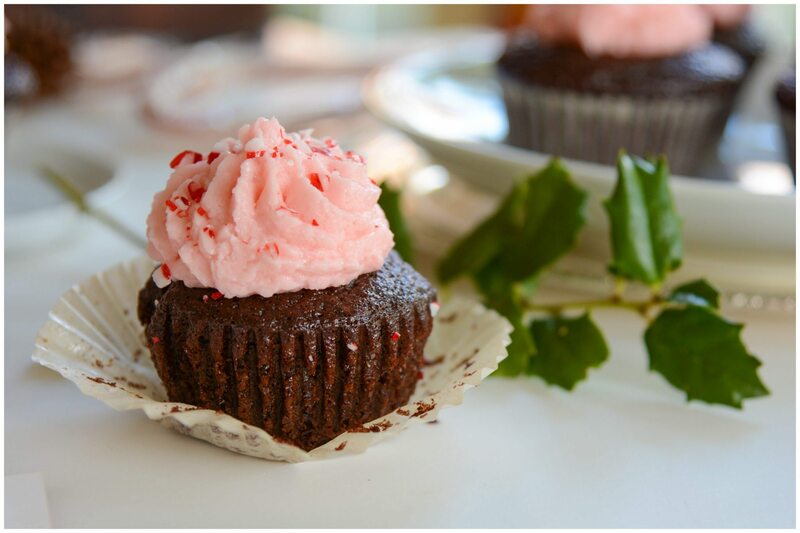 Add blended frosting to a piping bag and pipe frosting onto completely cooled cupcakes. 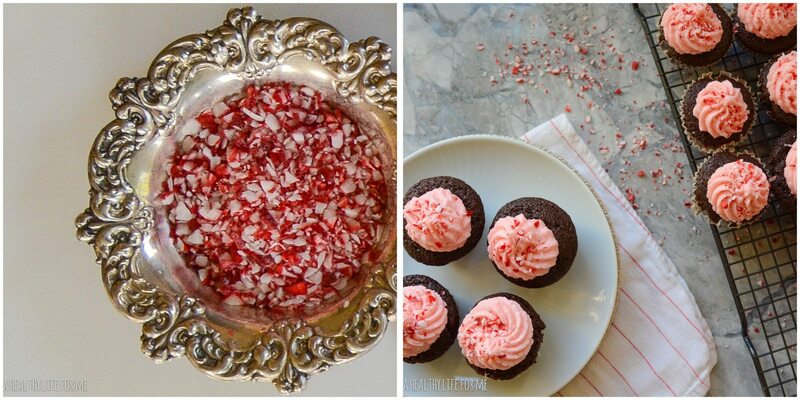 Sprinkle crushed candy cane pieces over frosting. From shopping for gifts to planning family dinners, it’s hard to keep up with all your holiday to-dos. This year, Kraft is helping out with great weeknight meals and entertaining ideas to make the season a little bit easier. Plus, Kraft is offering up to $20 in coupons, redeemable exclusively at Target, to make food shopping easier and to help you have a happy holiday season.